Call us today so we can start work for you! Dedication, endurance, faithfulness, loyalty, ethical, are just a few of the qualities that make me who I am. God is Number one in my life. My wife Wendy of 25 yrs and 2 daughters are the pride of my life. Having been a General contractor for 17 yrs with buying and selling personal and business properties over the years has brought me vast experience in how “I” want to be treated as a Buyer or a Seller and carry that high standard of care over into this business. Having raised my family in a small town country environment with farming and ranching, full time jobs, plus daily family demands brings families close that learn to deal with the stresses of everyday life. From watching newborn animals raise to their feet, daily farming chore responsibilities, farming ups and downs with prices and weather, growing a construction business from the ground up working 6 days a week 12-16 hour days, our family run business has smoothly transitioned into Real Estate where we carry over the same qualities. I know homes and land. Years of experience put me above the competition with the “know how” of the market trends and prices. I am up front and honest. When quality and experience matter than count on me to deliver. I enjoy hunting, classic cars, gardening, the great outdoors, coffee time with the guys in the morning, listening to my clients needs and wants in helping them determine their course of action. I enjoy the detective work Real Estate entails. Lets sit down, have a cup of joe and discuss your real estate needs. 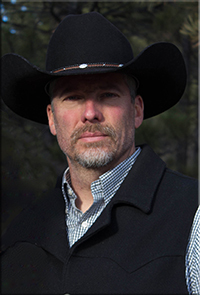 I was raised in the middle of the cattle industry in north-east Colorado. In high school I was active in rodeo, FFA, and 4-H. Married with 4 boys and 4 dogs. Family, friends, and faith are all very important in my everyday life. Being outdoors and hunting make all the work worth it. 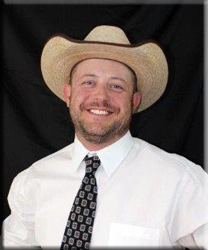 With a strong background in ranch and agriculture I can help with all your land and ranch needs. Honesty and dedication to my clients is very important to me. I am willing to stand up and fight for what is right and fair for everyone. 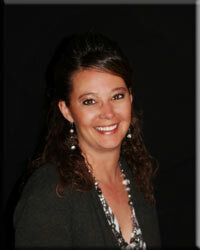 Assoc Broker Wendy Crisp is a dedicated agent for both Sellers and Buyers. I believe my strengths are integrity, my faith in God , hard work, and ethics. Every transaction is different and unique with qualities each party bring and I look forward to the work involved in the satisfaction of a job well done and new friends made. 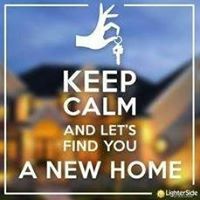 Give me a call and lets start the journey together. Youth and energy come in a fireball combination dedicated to endure in Real Estate. Being raised in a family owned business, and the country all my life I learned hard work, integrity, long hours, honesty, and ethics at a young age. My experience in the housing industry growing up made it a pretty easy decision on a life time career. I was taught independence, to be faithful, trustful, honest in all my endevours which I carry thru life. I thank God for guiding my steps. 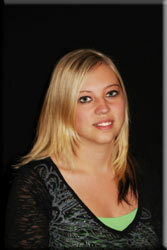 I enjoy hunting, camping, spending time with my finance’, dirt bikes, repairing cars. I have a 67 Firebird I am currently restoring.